Discover a Languedoc campsite that offers high-quality services at Gallargues-le-Montueux. 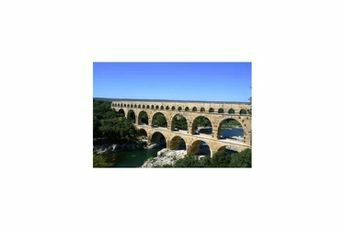 Les Amandiers is a 4-star campsite in the Gard department located 5 km from Villetelle and the archaeological site of Ambrussum and 25 km from Nimes. 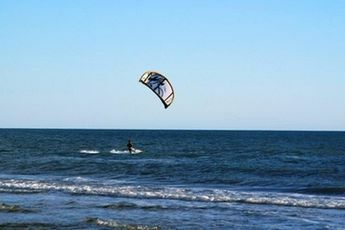 It is situated 20 minutes from the beaches of La Grande Motte. Les Amandiers is highlighted by a large wooded park of 4 ha that incorporates quality recreational facilities. Immerse yourself in an exotically designed aquatic centre. Enjoy the lazy-river, bubble pool and pools with the whole family. With its family-friendly atmosphere, it offers entertainment for both young and old. Take part in friendly tennis matches, volleyball, petanque and ping-pong. In peak season, Les Amandiers organises non-stop entertainment including sessions of aqua aerobics, animated sporting contests and theme nights. You'll love the fun entertainers and the Mr or Miss Les Amandiers elections. A playground is available for the delight of the little ones. In addition, if you are feeling peckish, the restaurant and takeaway service provide quality meals as well as fresh bread and tasty pastries every morning. Other services: laundry facilities and internet. On the edge of the Via Domitia, the small village of Gallargues le Montueux welcomes you between Camargue, Provence and the Cévennes region. Immerse yourself in a land of unspoilt nature, where the Mediterranean scrubland, olive trees, fragrant pine trees, scintillating waters and picturesque villages compose landscapes of breathtaking beauty. In the Camargue you will enjoy horse riding on the beach unless you prefer to seek adventure and go hiking in the heart of the Cevennes National Park? Enjoy your holiday in the Languedoc-Roussillon region!